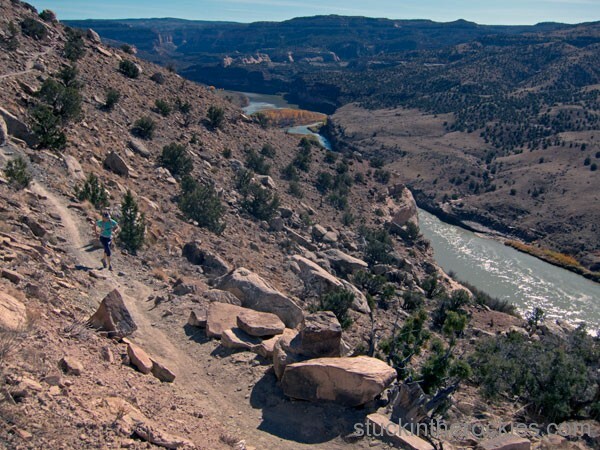 Like a couple of elk forced down to lower elevations by snowfall, Christy and I headed to Fruita to go for a run. 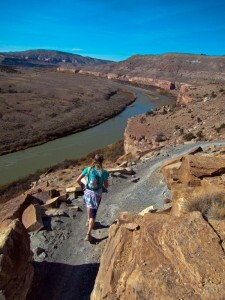 Most people associate Fruita with mountain biking. While the biking is nothing short of awesome there, many of the trails work equally well for a run. The rolling, semi-technical Kokopelli trails are the best, since the bikers aren’t moving as fast and as a runner you don’t feel in the way. Plus, the layout of the trails– allowing for added distance by stacking up extra side loops like Horsethief Bench, Steve’s Loop and Rustler– allows for all sorts of mileages and variations to the central Mary’s and Lion’s loops. See the map below. So for our day, we started at the Kokopelli Trailhead and ran Rustler’s, then Mary’s, Horsethief, Steve’s, a short bit on Lion’ s, then Mack Ridge (out-and-back) and Moore Fun back to the trailhead. We stashed water at the Lions Trailhead in the morning. It came to 26 miles. 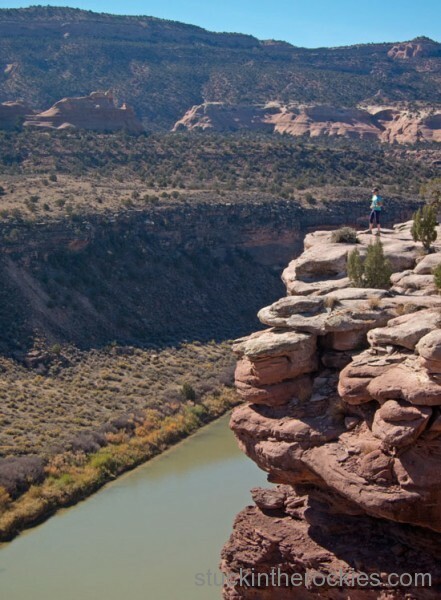 If you’re looking for a long day on the trails and everything around you is covered in snow– be it late fall, winter, or spring– Fruita’s well worth the trip. 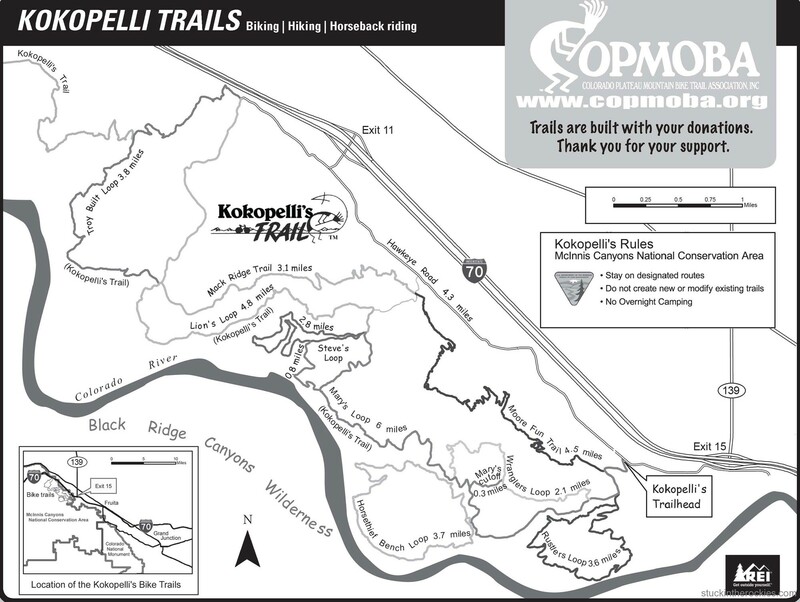 An area map, courtesy of Colorado Plateau Mountain Bike Trail Association. Christy, on her way to Steve’s Loop. The Colorado River offers an awesome backdrop much of the time. Taking a break at an overlook on the Horsethief Bench Loop. It’s predominantly a biking area. 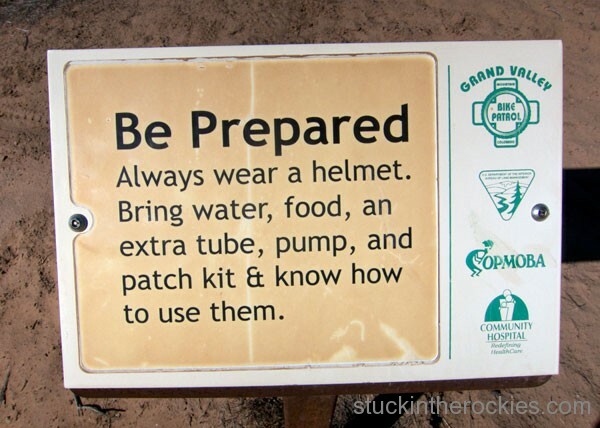 We opted to forgo the helmet, tube, pump, and patch kit. Add a perfect fall day, and it’s well worth the drive. Nice, I love running those trails too. 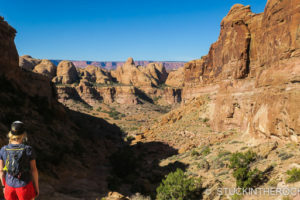 If you want something a little quieter and off the beaten track the mcinnes canyons area is my favorite. You probably know it but you could put together a similar length run, or longer, in the Devils, Pollock, and Rattlesnake Canyons. Also I once ran a big (for me) loop in the Monument – Monument Canyon, CCC, Black Ridge, Liberty Cap and return to TH on unmapped ST at base of Monument – probably about 20 miles. Again, you probably know these but just thought I’d throw it out there – the scenery is off the charts. Happy trails. Oh and we must pray for snow too. Ann, I should always check w you before heading out there. I know of Pollack but not the others. Still it was fun, but its definitely busy. We’re ready to get the snow sports on though. Ski someday this winter maybe? Yeah time to ski fosho. Look forward to making some turns. 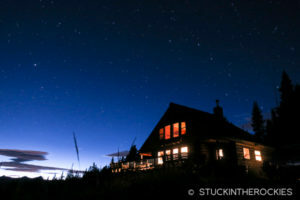 Hmm, apparently you’re not really stuck in the Rockies. A great area. I’ve run some, including Lunch Loop (I ran while others rode — a blast), Rattlesnake, Monument Cyn, and have only ridden at Horsethief (minus the crazy drop-in). Having the CO river below is amazing. Love the desert.